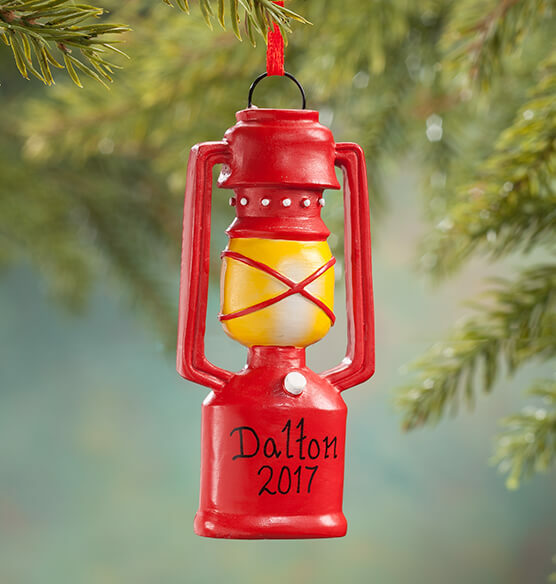 A fun way to celebrate a memorable camping trip or honor one special camper, this lantern ornament can be personalized for a one-of-a-kind treasure! Wonderfully detailed all around in handpainted resin, the 3D lantern looks great from every angle, adding classic style to any Christmas tree. We'll add any name or message and date ... making it "glow" with fond memories, year after year. Specify name; limit 1 line, 8 letters/spaces. Specify year; limit 4 characters. Resin. 3 1/2" x 2".